So, recently, there’s been talk of Sugarland, a multi-platinum country music band, making a Steampunk inspired album, The Incredible Machine. The album itself is another country album, but the lyrics employ Steampunk imagery. I’m sorry, but that’s not “just how Steampunk works.” Steampunk is so much more than just a method of showmanship for anyone to just adopt when record sales slump. 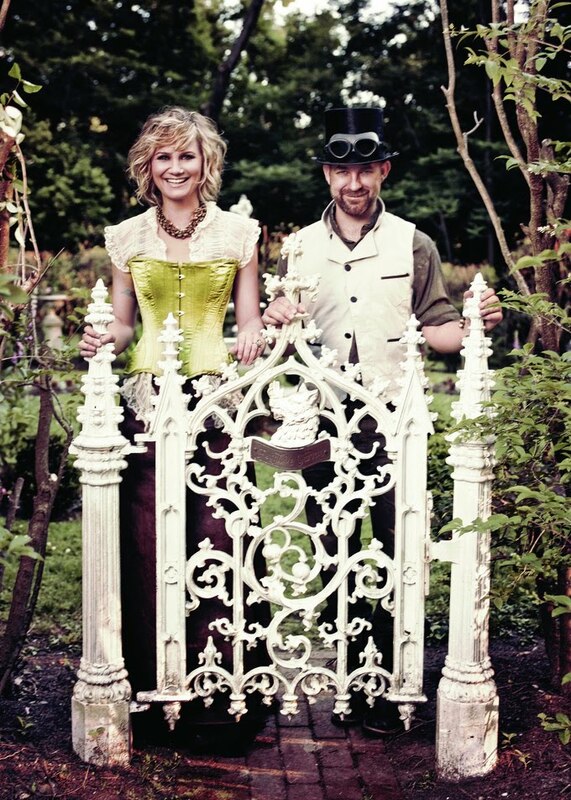 It appears as though Sugarland views Steampunk as a way to further promote themselves and their image. They seem to be grabbing a hold of our image in the effort to promote a record. This entry was posted in General Steampunk, Music and tagged Defining Steampunk, Music. Thanks for commenting! You lend some great insight to this whole Sugarland debacle. Leaving aside what passes for “country music” today, which is nothing more than pop rock with a twang, this stunt by this band is about as crass commercialism of steampunk as I’ve seen in a long time. I confess that I was initially interested in this. I like country. Steampunk and country make perfect sense. It’s the music played before the mast on larger American airships, the banjo that filters out of the Holler’ while the Train passes, the music in the camps of the Klondike radium fields. But I forgot that my definition of country is Frank Fairfield. After the Acquainting myself who Sugarland is, and reading a few reviews I am sad to say that I agree with you.